This drab weather is really starting to bore me now! I am already buying sumer pieces for my holiday and dreaming of warmer climes. I bought this jumper from Simply Be last week, I was in serious need of a colour injection and it certainly gave me that. Firstly, oh my goodness, I know I keep going on about it, but my hair is annoying me so bad! I'm going to see Linda on Thursday and I can't wait! 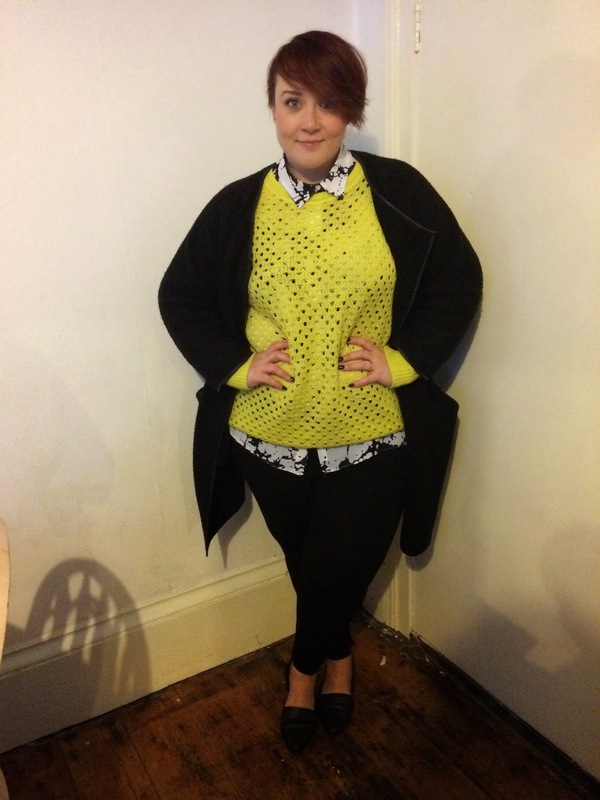 I wore this open work jumper from Simply Be with the Look Magazine shirt, leggings and ELVi coatigan. It's just a really simple day outfit, that still looks 'put together'. I'm wearing the 24/26 in the jumper and I know a lot of people have been having some serious fit issue with items from Simply Be, something that a few bloggers have written about now and something I'm hoping to write about this week too. I think it's really important that these issues are tackled head on and the more of us who hold our hands up say, you know what? These items aren't fitting us well, the better. So watch out for that this week. 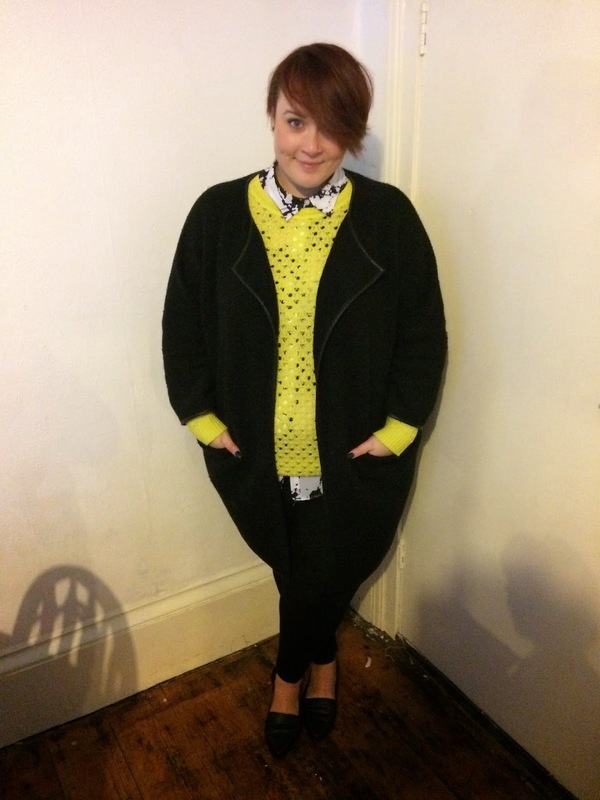 I love this whole outfit, the jumper just adds a lovely pop of colour but also brings everything together. Perfect outfit for work or weekends. I grew my hair out as well and I know exactly they stage you are at, try and persevere with it and it will be worth it. so, are you chopping it off or are you just getting it shaped as it grows out?? I'm still undecided on if I'll let mine grow or not, I did a clean up on it this week which makes me feel better and I'm changing the colour this weekend.